We know car ownership can be confusing. That’s why we’ve put together this set of FAQs (Frequently Asked Questions) to inform and educate you on warranties, MOT tests, car servicing, repairs and other aspects of owning a car here. What is a MotorEasy car warranty and why do I need it? With the original manufacturer’s new car warranty the vast majority of the car is covered against failure and faults will be rectified, free of charge, by a dealer. There are some parts that won’t be covered that are often termed perishable, service, frictional or wearing parts, although, with a new car these will also be replaced if they fail due to incorrect fitment in the early part of a car’s life. Otherwise, parts such as brake pads, wiper blades, exhausts, batteries and tyres will never be included in a warranty. So after the manufacturer’s warranty has expired, usually after 3 years, you’ll be on your own, with the potential of huge bills to pay if something serious fails, And, with today’s sophisticated cars and high garage labour rates that can be the case all too frequently. To protect your pocket from such occasions, a decent warranty can be a very sound investment and you can buy a MotorEasy plan at any time as long as your car is less than 12 years old and has recorded less than 120,000 thousand miles since new. Manufacturers may offer extended warranty cover through their dealers but they will be far less comprehensive than a MotorEasy warranty and, most importantly, they will frequently not cover failures due to wear. Whilst the frictional parts mentioned above will never be covered for wear by any warranty, it’s fairly obvious that every part of a car will simply wear out over time if you wait long enough. That’s where the first huge benefit in cover appears with the MotorEasy warranty plan. MotorEasy will cover failures as a result of a covered part failing due to ‘wear and tear’. This means that we won’t dodge claims by attributing failures to ‘wear’. We always ensure that you are protected against such risks under our plans. The MotorEasy warranty plans have been designed by Duncan McClure Fisher, a warranty expert of long standing. In the words of the motorist’s champion, Telegraph correspondent and motor industry guru, Honest John “Aftermarket Warranty, or ‘Mechanical Breakdown Insurance' as it is termed, used to be a dirty business that seemed to most people to take the money and run - happy to sell you a warranty, but reluctant to pay for your car to be fixed. Then along came Duncan McClure Fisher who cleaned the business up. It wasn't rocket science. It was simple, straightforward, proper underwriting of risks and telling the customers what they got or didn't get in simple black and white." Trained engineers interfacing with the garage to ensure the very best price for any work that needs doing, both in and outside of the warranty cover itself. Optional plans for servicing, MOT and many other motoring needs. Thousands of approved network garages that we can pay directly for your repairs. Alternatively, the use of any VAT registered garage of your choice. Our top cover, for cars up to 5 years old and with less than 60,000 recorded miles, covers all mechanical and electrical parts, including clutch plates, air-conditioning, air-bag electrics, ECU’s and even fluids and consumables – you simply won’t find better cover. How does a MotorEasy warranty differ from other providers? What should I do if I require a repair? Our engineers will be on-hand to give best advice. Either go online and submit a repair or call the repairs line (0800 131 0001) for pre-authorisation. A network garage will be considerably faster due to familiarity with our processes, plus we can pay them directly so you’re not out of pocket. Go online and submit a or call the repairs line (0800 131 0001) for pre-authorisation. You will probably have to pay and reclaim any pre-authorised amounts. Is this the same warranty protection as a manufacturer warranty? No – it’s better. With the original manufacturer’s new car warranty the vast majority of the car is covered against failure and faults will be rectified, free of charge, by a dealer. There are some parts that won’t be covered that are often termed service, frictional or wearing parts, although, with a new car these will also be replaced if they fail due to incorrect fitment in the early part of a car’s life. Otherwise, parts such as brake pads, clutch plates, wiper blades, exhausts, batteries and tyres will never be included in a warranty. So after the manufacturer’s warranty has expired, usually after 3 years, you’ll be on your own, with the potential of huge bills to pay if something serious fails, And, with today’s sophisticated cars and high garage labour rates that can happen all too frequently. To protect your pocket from such occasions, a decent warranty can be a very sound investment and you can buy a MotorEasy plan at any time as long as your car is less than 12 years old and has recorded less than 120,000 thousand miles since new. Manufacturers may offer extended warranty cover through their dealers but they will be far less comprehensive than a MotorEasy warranty and, most importantly, they will frequently not cover failures due to wear. Whilst the frictional parts mentioned above will never be covered for wear by any warranty, it’s fairly obvious that every part of a car will simply wear out over time if you wait long enough. That’s where the first huge benefit in cover appears with the motoreasy warranty plan. motoreasy will cover failures as a result of a covered part failing due to ‘wear and tear’. This means that we won’t dodge claims by attributing failures to ‘wear’ but that we always ensure that you are protected against such risks under our plans. The MotorEasy warranty plans have been designed by Duncan McClure Fisher, a warranty expert of long standing. In the words of the motorist’s champion, Telegraph correspondent and motor industry guru, Honest John “ "Aftermarket Warranty, or ‘Mechanical Breakdown Insurance' as it is termed, used to be a dirty business that seemed to most people to take the money and run - happy to sell you a warranty, but reluctant to pay for your car to be fixed. Then along came Duncan McClure Fisher who cleaned the business up. It wasn't rocket science. It was simple, straightforward, proper underwriting of risks and telling the customers what they got or didn't get in simple black and white." How do these warranties differ from extended warranties provided by car dealers? A franchised dealer will offer you an extended warranty that is organized by the manufacturer that the dealer represents. This is unlikely to cover you for wear and tear, consequential loss, overheating, car collection and return and many other benefits that come with a MotorEasy warranty. If you are buying a car from a non-franchised dealership the car will probably be supplied with a minimal 3 month cover that will offer minimal protection. If you have a short term cover then MotorEasy has a plan that will supplement the dealer cover until it expires and you are ready to take out full MotorEasy cover. I still have time on my manufacturer’s warranty – why do I need extra protection? Your manufacturer warranty should be sufficient but MotorEasy has a plan that will provide seamless cover as your manufacturer warranty expires. Call for details. Does my car need full servicing history to get a MotorEasy warranty? No. As long as the car has had a full service in the previous 12-months you can take out a MotorEasy plan. Does my car need a Health Check or inspection before starting a MotorEasy warranty? When you buy a car warranty from MotorEasy we will book a Health Check for your car. This Health Check is a 20 minute visual inspecion for your car, which will be carried out by an independent inspector at a garage close to you. Following a successful Health Check we will add wear and tear protection to your warranty protection. How long will my warranty last? You can buy a policy for 12, 24 or 36 months. Your car must have been serviced in line with the manufacturer’s requirements for its age and mileage in the last 12 months. In addition, essential service items such as timing belts must have been changed at the appropriate interval. The car must also have a valid MOT test certificate. Call our engineers on the repairs number 0800 131 0001, they will be happy to give best advice. Call the repair line. Do not let any repairs start until you or the garage have spoken to our engineers and get a repair authorisation. Yes. For covered and authorised repairs we will contribute towards recovery costs if you don’t have a recovery provider. MotorEasy also offers breakdown recovery plans from preferred providers that are excellent value. Yes, online, but our engineers will not be able to approve them outside of business hours. How do I transfer my warranty? If you decide to sell your vehicle, you may transfer a fixed period plan to a new owner as long as you have paid for the plan in full. You will be asked to pay a £30 admin fee in order for us to do this. Please note that the plan is not transferable to, or through, the motor trade. I’ve heard bad things about warranties in the past, why are MotorEasy different? We want to enjoy your custom for years to come and our warranty plans are built to delight you rather than to avoid pay-outs. Of course, we are a business that will only continue to succeed with your recommendation and the honesty and goodwill of our customers. If you are worried about your cover level then you can top-it-up with a MotorEasy plan that will supplement the dealer cover until it expires and you are ready to take out full MotorEasy cover. Otherwise we can arrange for our cover to start as your dealer cover ends. If you are buying a used car from a dealer consider asking for a lower price without their warranty and getting MotorEasy instead. Payment can be completed securely online or over the phone by credit or debit card. We also accept payments via PayPal. What is the MotorEasy network? There are about 20,000 garages nationally that are involved with service and repairs ranging from franchised dealers, specialists, independents and fast-fits. Of these, MotorEasy has given approved status and arranged direct billing arrangements with some 10,000. If you choose to use a VAT registered garage outside the MotorEasy network you will need to pay for any pre-approved repairs and be reimbursed by us for these costs. Who are the MotorEasy engineers? All our engineers are qualified vehicle technicians, with experience in garages so they are able to speak to the garage on your behalf. We’ll always check all quotes and advisories for price and necessity to make sure you are getting the best deal possible. Save time and hassle on motoring maintenance and support with MotorEasy. Request help via your MotorEasy account area, or call MotorEasy and our engineers will book you into an approved workshop that has the right skills for the kind of problem you describe. If you selected a warranty, service and maintenance plan that allows you to select a workshop, then you choose who repairs your car. If you selected a plan that uses our approved network then our engineers will select a workshop that is usually within 5 miles of your post code or arrange for your car to be collected. Our engineers select workshops based on your car, it’s repair needs, and the recent workshop performance - our engineers monitor every booking from a technical perspective to ensure our network maintains the highest standards in the country. Our approved workshops guarantee their workmanship for 12 months, and wherever possible use Original Equipment or equivalent parts. Will the repair bill be broken down for me? Yes, we will provide an itemised estimate and worksheet detailing the work your car requires. The estimate and bill will explain the work required, show the parts price, labour time, labour cost, VAT and savings achieved for you with our special discounts. Our customer service team and engineers will always send you a copy and then call you to explain it all. What is the labour rate? The labour rate that we can pay workshops for your car will vary depending on the warranty service and maintenance plan you have selected. Rates start at £60. I’ve already had a quote – how can MotorEasy help? Can you repair accident damage? Sadly our warranty and service maintenance plans do not cover accident damage. Can you help with automatic gearboxes? Yes, we can help repair all kinds of gearbox, whether you have a warranty plan with MotorEasy or not. Simply request help via your account or call our team and we will book you into the best local specialist. What parts do MotorEasy use? MotorEasy use Original Equipment or equivalent parts as standard. But if circumstances call for it we can also offer a range of re-conditioned or ‘factor’ parts. We sometimes do this if a Original Equipment part is not available for many days or if organising a repair for you when you do not have a warranty with us, to help save you more money. You can pay securely by debit or credit card over the phone or online. How do I get my car to the garage? We can collect your car or organise recovery. We always try to use the closest suitable specialist so that you can also drop the car in if that is more convenient to you. What is the difference between MOT and servicing? An MOT test is an inspection of your car, but the garage is not allowed to dismantle or strip components down. This makes it harder, but not impossible for the garage to tell you that your car needs work that it doesn't. The MOT test is the same for all cars, because the inspection criteria is set by the Government agency VOSA. A service is also mainly an inspection, so if you book the wrong one, it will duplicate large parts (but not all) of the MOT test inspection. Some kind of service is needed in addition to the MOT each year, because it includes changing some 'service items' and stripping down some key safety components. A service is different at every garage, and if it is based on guidelines from the car manufacturer, it will vary from car to car and year to year. But it should always include oil and oil filter change, and a wheels-off brake inspection, at minimum. Can you drive without an MOT? If you car is out of MOT then you can only drive it to an MOT station (garage or workshop with MOT licence) for a pre-booked MOT test appointment. Can you drive after failing the MOT Test? You can have your car MOT test 28 days before the MOT expiry date without losing any of the current MOT. If you do this, then when it fails, provided it is still roadworthy then you can drive the car on the existing (old) MOT, although we don’t recommend it. For example, if the car fails because of a problem with a headlight that cannot be fixed the same day, then you may decide that you want to drive it home in the daylight while you wait for a part to be ordered. If your car fails the MOT test, and the old test certificate has expired, you cannot legally drive the car. Book your test for two weeks before your MOT expires. If your car fails, or the garage does something you are not happy about, or a part you need has to be ordered in, you can then continue to use your car (if it is roadworthy) on the existing MOT and rebook (possibly at another garage) for repairs. What should I pay for an MOT? Garages are legally allowed to charge up to £54.85 for a car MOT test. But garages don't have to charge that amount, so it's nice to get a discount. But beware below £30 and the garage loses money, so they will want to find repair work or charge more for the repair work, not just to recoup the losses on your MOT but on MOTs that passed too! Is there anything I can do to prepare my car for it’s MOT? You should check the wipers, tyres and lights. If you just need wipers or bulbs, fitting them yourself will save a lot of money. If you need tyres, it's better to buy them in advance to get the right tyre at the best price. Contact MotorEasy for advice and the best deals. How should I choose an MOT test centre? MotorEasy pick workshops based on the recent mechanical performance - on MotorEasy monitored bookings - let our engineers pick the workshop for you. Should I have my servicing done at the same time as my MOT? If your annual service falls due within 8-12 weeks of your MOT or you do low mileage then booking MOT and servicing through MotorEasy at the same time will save you money and time. We won't charge you twice for the work in the MOT and service that overlaps. What happens if I have a problem after collecting my car? Call MotorEasy and we will have the workshop take the car back immediately to resolve the problem. What are the rules around retests? A re test will be free provided the workshop completes the repair within X days. Otherwise they can charge half the cost of an MOT to rest, or the full price after X days. What Vehicles are exempt from MOT? Cars registered prior to 1960 are exempt from MOT testing in the UK. When a car is designed, the manufacturer sets out a service schedule for the car, which they believe will keep it running reliably and safely. Typically a manufacturer service schedule consists of 65-85 checks (see table of examples later) and 5 - 15 changes to your car. It will be slightly different for each car, depending on the engine, transmission, age and mileage. In order that the original manufacturer warranty is not invalidated, this service schedule must be adhered to, while the car is under warranty. As well as the services being very similar, there is an enormous amount of overlap between any given service and the MOT test. motoreasy estimate that 75-85% of a typical service is covered by the MOT test. Garages have a ‘duty of care’ to customers when they work on their car. So all reputable garages will complete a Visual Safety Inspection when they work on a car, which identify any obvious safety concerns with a car, even if it is just booked in for an oil and filter change. But they will not be able to complete a full brake check with this kind of service and that is, in motoreasy's view, a crucial check to have at least once a year. A good garage, performing this kind of service, will usually check the brakes and manufacturer guidelines so that they can recommend any additional work that your car may need. Sadly not all garages do though. As with the basic service, if the car needs any repair work, or the manufacturer guidelines recommend extra maintenance work, this will be an additional cost. If you want a manufacturer service, then while under EU Block Exemption rules you should be able to get it completed at any garage, you should probably go to a main dealer franchise. motoreasy 's experience is that other garages will say they have given you a manufacturer service, but will almost always cut some corners. *motoreasy , when managing your booking, always ask for brake measurements, to ensure this is done and to give you an accurate estimate of the life left in your brakes. Rest assured, when you book with motoreasy , we will ensure your car has all the servicing it needs according to the manufacturer's guidelines, but we won’t double charge you for things also covered in an MOT (when completed on the same day). We will offer you a repairer within 5 miles of your home or work. You can drop the car in, or we can arrange collection. How can I ensure the correct servicing is done for my vehicle? Unless you have access to your manufacturer service schedule, it is very hard. Book your service with MotorEasy and our engineers will check the servicing meets the manufacturer service guidelines. Where should I have my servicing done? You should have your car servicing done at a workshop that guarantees to follow the correct manufacturer guidelines for your specific make and model. This is less common than you might think - even main dealer franchises do not do always do this. Instead they do their own “full service” for a fixed price. If you book your car service with MotorEasy we ensure the correct service is done in one of our approved workshops. Does using independent garages for servicing harm my vehicle’s resale value? No, if you keep receipts showing you have had correct servicing your cars value will be fully protected. Annually or when your on board computer recommends. MotorEasy does not recommend long life 2 year servicing. Should I have my MOT done at the same time as my servicing? If your MOT and annual service are due within 3 months of each other or your only do low mileage, MotorEasy recommends having MOTand service at the same time to save money with one great value package. An independent inspector will examine your car for any existing faults. Following this health check you will be presented with the findings, and if there are no faults found your car warranty's wear and tear cover will begin immediately*. If any existing faults are found on your vehicle we will provide you with a repair price at our discounted rate. If you decide not to proceed with these repairs the faulty parts will not be covered under your warranty. As a result of the health check we may decide to cancel and refund your warranty after deducting a £60 health check fee. Otherwise your car warranty wear & tear protection will proceed after 90 days. *Please note that the health check may not identify all faults and does not allow us to cover pre-existing or developing faults. Guaranteed Asset Protection, (GAP Insurance) protects you against financial loss if your vehicle has been declared a total loss or write off by your insurer. If your car is involved in an accident, stolen or damage by flood or fire, and deemed a total loss, your comprehensive insurer will only pay you market value for your vehicle at the time of the incident. What cars are eligible for GAP? Cars less than 7 years old and with less than 80,000 miles recorded since new are eligible for Return to Value and Return to Invoice cover. Vehicle Replacement Insurance covers cars less than 4 months old and with less than 500 recorded miles. Cars and light commercial vans of less than 3,500KG in weight and with a recorded insured value of less than £50,000 qualify. Cars/Vans must be listed in Glass's Guide, be to UK specification and not have been modified. Is there a claim limit for GAP? I lease my car. Can I still buy GAP? It covers the difference between your insurer’s payout and either the price you originally paid or the amount needed to settle your outstanding finance balance, whichever is the greater. How will you keep me updated, other than through the Repair Tracker? The repair tracker will instantly update with any changes to your booking. You will also receive texts and emails with updates. What do the different repair tracker statuses mean? All statuses will show in the middle of the repair tracker letting you know exactly where MotorEasy are with your booking. Booking – The bookings team are working on your booking. · Booking requested – we have contacted the most appropriate garage for your booking and we are waiting for a response from them. · Booking problem – This means the garage we have requested don’t have space on the date we have requested or have informed us they cannot cater for your problem, we are looking into a new garage for you. · Booking confirmed – The garage has accepted the booking, please check your emails for full details of your booking. · Cancelled – Your booking has been cancelled. If you wish to rebook just send us a message through your account. · Car has not arrived – The garage has informed us that your car is not at the workshop, please let us know if you wish to rebook, or if you are still planning on taking the car to the workshop. 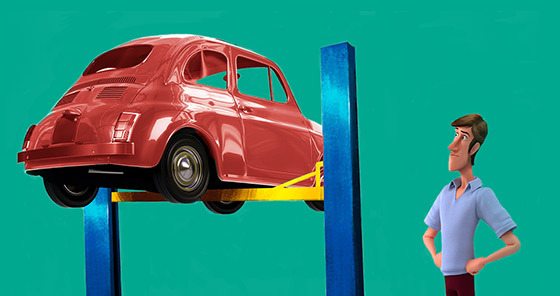 At Workshop – Your car has arrived at the workshop. · The garage are expected to start looking at your car at HH:MM. We expect an update two hours after this – The garage has let us know that this is the time they will be looking at your car and you can expect an update once this has been completed. · Waiting for Garage Response – Our engineers are waiting for the garage to send over more information about your car. · Waiting for your feedback – We are waiting for your feedback in order to continue with your repair. Our team will have sent you an email and text informing you of what is needed. · MotorEasy engineers are working on your case – Our engineers are looking into your warranty claim and will send an update via email and text once they have one. · We expect your repair to be completed by HH:MM – The garage has let us know that your car is on the ramp and being repaired we will inform you once it has been completed. · Waiting for garage, Repair ETC HH:MM – Our engineers are awaiting the garage’s confirmation but we have been told your car will be ready for collection or delivery around this time. Complete – Your car is either being delivered back to you shortly or it is ready to collect. · No repair going on – You have removed your car from our garage so we have closed this case. · Repair Completed – Our engineers have been informed that your car is completed and is either ready for collection or is being delivered back to you. Alert – We need a response from you in order to continue with your booking. · Waiting for your feedback – We're waiting for your feedback in order to continue with your repair. Our team have sent you an email and text informing you of what is needed. The repair tracker hasn’t updated in 24 hours how do I know you’re booking me in? Some bookings can take longer than others if we need to find a specialist able to deal with the problem. Rest assured we are looking into it and you will get an update as soon as we have one. You’ve asked for my MOT and Service proof where do I send this? Please click on the envelope icon at the bottom of the repair tracker, this will take you through to our message system where you will be able to upload images of the documents required and attach them to your message. My car isn’t fixed, but the repair tracker status is completed? Please send a message from your account to the team who will be able to look into this for you. Can the repair tracker track all my bookings? All bookings made with MotorEasy can be tracked on the repair tracker. Just click “check other bookings” to find the right one. I can’t log in, help? Please first try to reset your password using the link on the log in screen. If this doesn’t work, please then email info@motoreasy.com who will be able to assist.